In this unit, students learn about designing sound, testable hypotheses and experiments. A testable hypotheses is one that is stated in a way that makes predictions that can be tested. 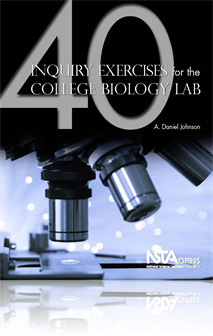 The goal of the unit is for students to unravel a simple biological observation. An entomologist spilled a few termites on the desk and noticed that some followed lines drawn in a lab notebook, and in subsequent trials, the termites seemed to ignore drawn trails and just wandered aimlessly. Students must focus on developing a reasonable hypothesis, testing it, and learning to interpret and communicate the results. These skills will be used extensively in later lab sessions.